Its that time of year again when the final round of the Clonakilty Black Pudding Irish Tarmac Championship comes to an end with the Cork 20 International Rally............this year is a special one as the Munster Car Club celebrates the 100 Anniversary of this rally............ belived to be the next oldest rally in the world to the Monte Carlo Rally..... the rally got its named the" CORK 20 "as the duration of the Rally was 20 hours..... 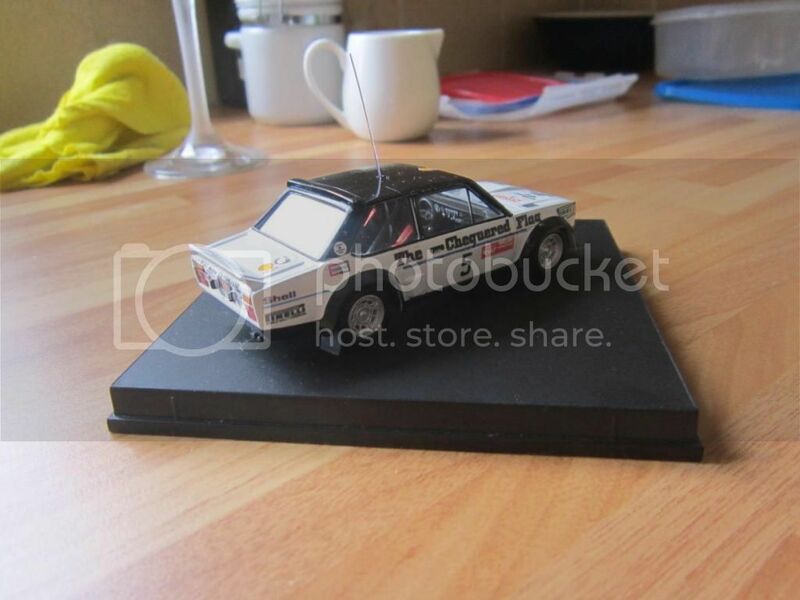 This 2014 evwnt is sponsored by ACE Signs..... their work is a regular sight on rally cars and on this forum possibly a challenge for model makers. one of these aditions have arrived already and more due during the week. 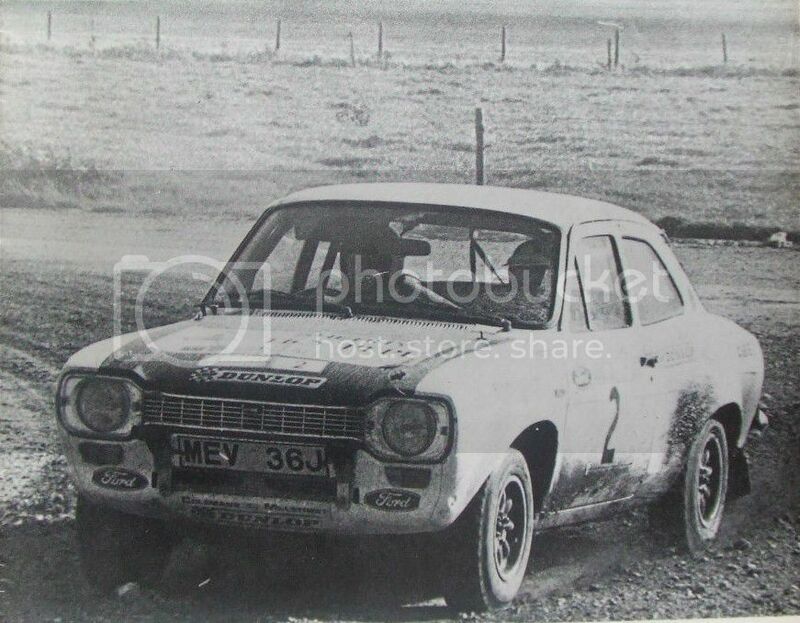 2...Billy Coleman ..Fiat 131 Abarth Chequered Flag car.......due soon.. I'll have a look on Friday! 4 or 5 I thought it was only 3. There will be a few "new" models braking cover this weekend thanks in some part to Brian. I few more just won't make it on time but there is always next year.!!! That's a shame. Do rallies often get moved around in Ireland? Over here they pick a town and stick with it for a very long time. Im afraid its a finance problem !!!! Can we save it by increasing our consumption at the prizegiving and making it economically more viable for Millstreet? Moving over is a quite an extreme solution. 2 on the way from Hungry ?????????? 2 almost ready from Dublin??????????? AND 1 more due tomorrow delivered personally by hand??????????????? Midnight oil, burning of-ZZZZZZ-me and my big mouth! 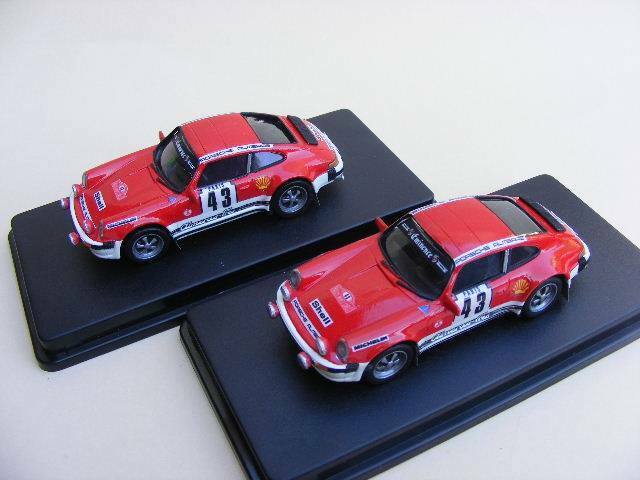 The two Porsche look brilliant, well done James and Donie on this one! 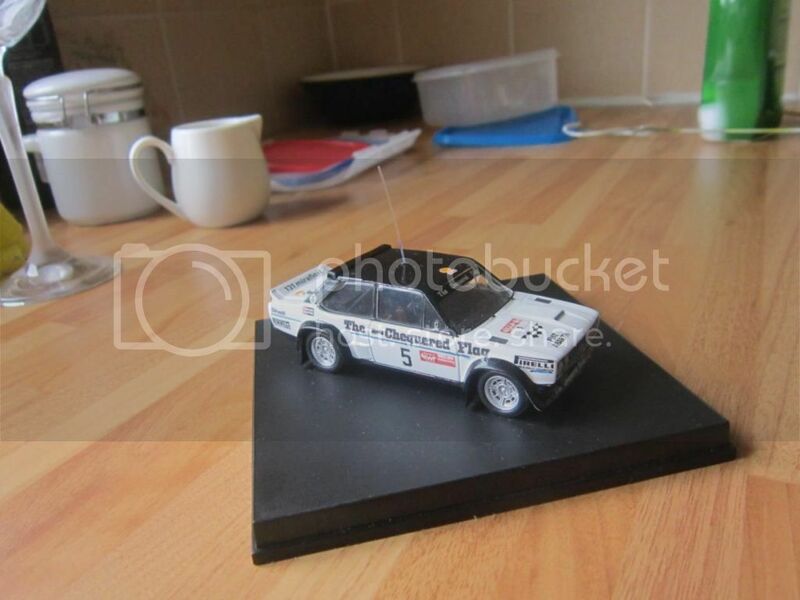 Lads, are the Coleman Monte Carlo Porsches for sale somewhere, or are decals available? I think Realcarmodels might have it? Well done lads. Ye keep coming up with some beauties. Fair play to Rory model was an all night session.........photo is top Class BUT BUT BUT BUT.......the car is stopped in traffic in Nass.........but will be sorted....................Well done Rory!!!!!!!!!!!!! Great work lads. Raging im going to miss it. Amazing how putting on a display focus's the mind and gets so many projects finished. You should look for some funding from the town council as your improving the town by filling empty windows. turn the wheel wrote: Fair play to Rory model was an all night session.........photo is top Class BUT BUT BUT BUT.......the car is stopped in traffic in Nass.........but will be sorted....................Well done Rory!!!!!!!!!!!!! Thats the last time I stay up all night. Its not as good as Id want it but as its the prototype most of the lessons have been learnt. Also need to get my Alps cleaned. My thoughts now are to dispense with black decals and strip back to bare metal and paint the white and black. The Shell logos are missing off the front spoiler and rear bumper as they were too tiny to print. Tried to do the drivers names too but again it came out to thin be legible. The next one will be better. The model is with Dougie who is going to the Cork 20-very lucky as I was too tired to drive down tonight-the roads are hell out there..